Not sure what floor is right for your home remodel? Our experienced team simplify what can be a daunting process! Let us guide you - Give us a call! From carpet to area rugs to luxury vinyl tiles ... Come visit our showroom to find your dream floor today! We've got you and your floors covered! Looking to update your home's old carpet? Look no further than our thousands of flooring options in our showroom! Showroom find your dream floor today! 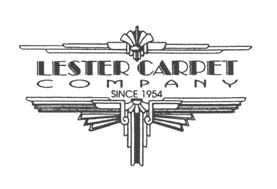 Lester Carpet in Los Angeles was established in 1954 by Larry Lester himself. Larry is now retired, however, his son Neal and his wife now run the business and help clients in LA, Beverly Hills and Hollywood. The company started and continues to run on a very family oriented vision. 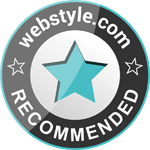 We treat all customers with respect, while devoting our complete attention to them. Neal's two sons, Jason and Ryan, also work at the store alongside their longtime family friend, David. For over 50 years, our family has been helping to beautify and warm the homes of our neighbors, as well as provide a fast resource for the television and film industry. We proudly have one of the largest stocks of carpet in LA. Our team is also dedicated to providing fast, affordable service for all residential and commercial jobs. Our stock consists of rolls that are discontinued products, specials, off goods, and seconds. We get them at discounted prices, which in turn allows us to pass the discounts on to you. If you can't find anything that works from our stock, we also have a large showroom with a wide range of carpet styles at affordable pricing!